Stone writes: Martin Black has been coming to Maine to share his knowledge with us for the decade. This year will be different than the past clinics as it is broken into several “mini-clinics” for customized learning. October 4-5: Private and semi-private sessions. Ride one-on-one with Martin, or in a small group. October 6-7: Versatility and Horsemanship. We are excited about the opportunities to learn from Martin on our new Mountain Trail Course at Shinantu. We’ll see how he would negotiate different obstacles with all levels of horses and riders. 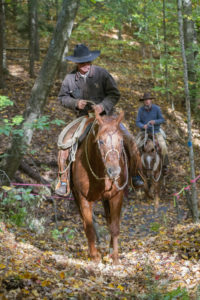 There will be an optional trail ride at the end of this clinic that will encompass many of the Mountain Trail Course obstacles along the beautiful Androscoggin River. October 8-9: We have teamed up with Old Crow Ranch and will be working their cattle for the stockmanship/horsemanship clinic. What a great learning opportunity to work in a rare working ranch style format here in Maine. Martin believes in low-stress stock handling. Working with your horse in a way to keep the cattle quiet and in control with the placement of your horses feet. It is fascinating! October 10 is our Annual Popham Beach Clinic. 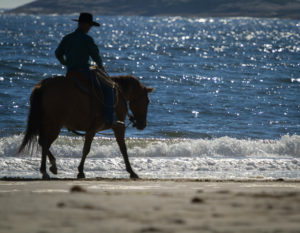 This will be the last year we will be offering Horsemanship on the Beach. 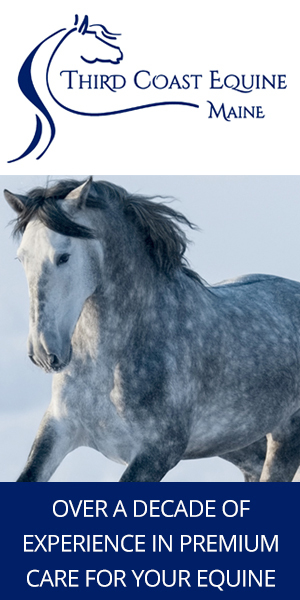 Are you looking to learn something to help yourself, or something to help your horse, or both? 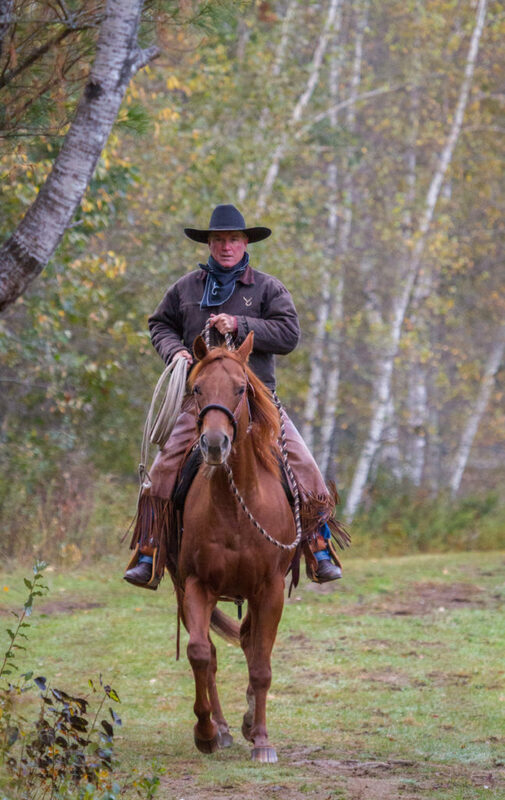 Martin comes from a long line of talented horseman and he believes one never stops learning. There are traditional formats of learning, and then there is the Martin Black form of learning. He will look where the horse is at, where the rider is at, and do what will benefit both. As you become more in tune with the movements of your horse, things begin to make sense and fall into place. This is where the Mountain Trail Course, working with cattle, and even practicing riding on the beach can become a beautiful dance. Posted in Events, Horsemen & Women and tagged kim stone, maine, martin black.